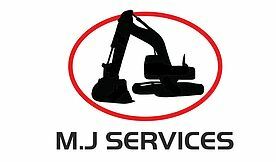 M J Groundwork Services - Builder, Landscaper based in Sawbridgeworth, Hertfordshire. We are a team of trained and experienced ground workers who know exactly what it takes to maintain or re-work the exterior of your home. From the initial quotation through to the completion of your project, Our team will guide you throughout. If you have any questions or have an inquiry about any of our services please do not hesitate to call us on 07885 577 899.